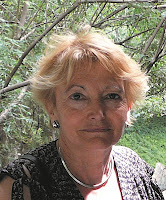 For over four years, Sylvia Vetta has interviewed over fifty inspirational people who all have a connection with Oxfordshire, for the Oxford Times 'Limited Edition' magazine. Earlier this year, the first fifty interviews were collected together and published for the first time as 'Oxford Castaways'. The formula is similar to Desert Island Discs - the castaway can suggest several items but in the end has to choose one of them. My choice of first castaway was not difficult. In Oxfordshire, we are privileged to have the world’s first public museum, The Ashmolean. Christopher Brown has presided over its world class redevelopment and he agreed to be my guinea pig. Since January 2008, the feature doubled in length and its emphasis moved from the objects to the profile of the castaway. 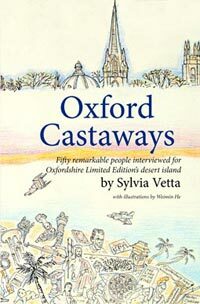 After the fiftieth interview, with the help of editor, Tim Metcalfe, and artist and castaway, Weimin He, I put them together in a book titled 'Oxford Castaways'. But if I wasn’t a sucker for a challenge, I wouldn’t even have started to write for the paper so here it is…. Sylvia knows that if she had not passed her 11 plus, her life would have been completely different. She also believes that chance encounters can change lives. A chance encounter that changed hers was in the Midlands town of Smethwick, in 1963, when she met Indian born Atam Vetta. Atam came to the UK via Ethiopia with the ambition of reading for a PhD. He thought he had saved enough to complete it at Birmingham University. Then, in August 1963, realising he hadn’t sufficient funds to sustain a second year, he applied for a late advertised post for a maths teacher at Smethwick Hall Grammar School. (Atam later earned his PhD at University College London) In the meantime, Sylvia had applied to go abroad as a VSO volunteer. Alec Dickson, VSO’s founder, realising she was not quite 18, suggested she go instead to Smethwick to teach English to immigrant children under the umbrella of the just started Community Service Volunteers. That year was a dark one in British political history. It was the year of the parliamentary leper and racism in Smethwick was open and overt - even the Labour Club operated a colour bar. Sylvia met Atam when she learned of his desire to open a multi–racial youth club. Their relationship was put under considerable pressure in that climate with the consequence that they had to be serious if it was to survive. Three children and six grandchildren later, they are still together. Sylvia likes to think that she is embarked on a third career, after teaching, trading and running antique centres. (Oxford Antiques Centre - The Jam Factory). In 1998, she began writing about art and antiques in Oxfordshire Limited Edition magazine and in various specialist magazines, including the opinion page in The Antiques Dealer Magazine and hopes that was not the reason it ceased production! 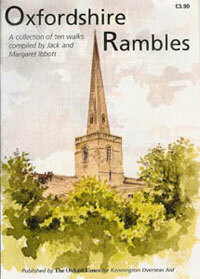 She is a keen walker and, with the help of Tim Metcalfe, wrote and produced 'Oxfordshire Rambles', a book of ten walks originally led by Margaret and Jack Ibbott, fundraising for development projects supported by the villagers of Kennington. 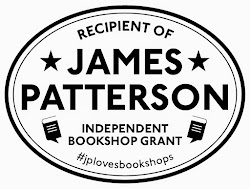 It is still on sale in Oxford (and at Mostly Books!) and the profits go to KOA: (www.koa.org.uk). Sylvia is a member of the Oxford Writers Group and has successfully completed the Diploma in Creative Writing at Oxford University Department of Continuing Education. That course and her passion for art and history- including a lifelong interest in China and India - is the inspiration for a novel focusing on The Stars Art Movement of 1979 (when Ai Wei Wei began his career). The novel, 'Little Winter Paints the Stars' is based in China 1960-1993 and in California to the present day. So which work of art, antique or book would she take on the island of Oxtopia? "In 1987, an Oxford house clearer came to me with two ginger jars. They were badly damaged. He said he had been called to clear the back of a barn and these were among the pieces he found there. He asked £15 for the pair and I gathered from his body language that he expected me to haggle. To his surprise, I gave him £15 and became the proud owner of a pair of soft paste porcelain vases. I had an idea what I was buying but began to research them. They were made in Delft, in Holland. Under the vases, in blue paint, are the initials PVM. Looking up PVM - in my venerable copy of Chaffers - I discovered that the maker was one Petrus Van Marum. I suspect his real name was really ‘Pieter’ (Dutch for Peter) but he thought it sounded better in Latin? He was proud of these jars or he wouldn’t have signed them. He was, however, proud of a failure. He was trying to copy ‘the must have’ luxury in Europe at that time. In the late seventeenth century, the Dutch dominated international trade in goods from the Far East. When the ships, coming from China, were unloaded; they admired this amazing ‘new’ material called porcelain. It was to have a profound influence on the visual arts in Europe. Until then, the wealthy ate from silver plates whilst the middle classes used pewter and the poor, wood. Suddenly, like magic from the east, appeared this exquisite substance which was beautiful, strong and durable. The Dutch imported over 12 million ceramics. Considering the population of England in those days was around 4 million, this represented a huge demand. Peter wanted to get in on the act. He was not the only one. In England, entrepreneurs were also trying make porcelain. An alchemist named Johann Friedrich Boettger, with the help of Walther von Tschirnhaus, was the first to succeed. He produced it, for the Elector of Saxony. The formula was a jealously guarded secret. The Prussians even tried to abduct him! For some time the poor man was locked in a castle until he made gold. He failed in that but he did discover the formula for porcelain and it became Dresden’s gold. The Meissen factory broke the Chinese monopoly and became one of the wealthiest companies in Europe. So England, France and Holland wanted the knowledge to break the Meissen monopoly! When I hold my vases I am in touch with one of the most exciting quests of the eighteenth century. They are not hard and strong like porcelain but rather light and fragile, hence the description ‘soft paste porcelain’. It is a miracle they survived at all. They represent the reason I became involved in the antiques trade for 24 years. I love history, art, design and story-telling and it seemed to me that they are all present in the world of antiques. After family photographs, these vases would be the first thing I would rescue if our home were to flood." 'Oxford Castaways' (£8.99) and 'Oxfordshire Rambles' (£3.99) are currently both available at Mostly Books. What an interesting interview, Sylvia and Mark. Thank you very much for it. It was an inspired idea to do a series of features about prominant people with an Oxfordshire connection, and interesting to read about the people chosen. Thanks very much for your kind comments Liz - glad you enjoyed it. 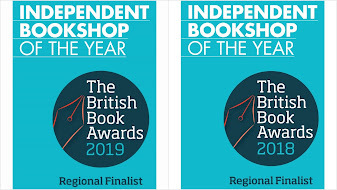 Oxford Castaways makes a thoroughly fascinating read, and although difficult to pick a favourite, I really appreciated the interview with Andrew McLellan, Head of Education at the Pitt Rivers Museum. My two boys love the Pitt Rivers Museum, and what *he* would take to a desert island is very interesting! Though your sons might find the outside of a building boring and not worth spending time on, I think that the Pitt Rivers Museum is one of the loveliest buildings in Oxford. I frequently take that way home so that I can drive past the museum. I must read Andrew McLellan's interview - you have me intrigued now.